Another great wheel from the forward thinking folks at Metro Wheel company. 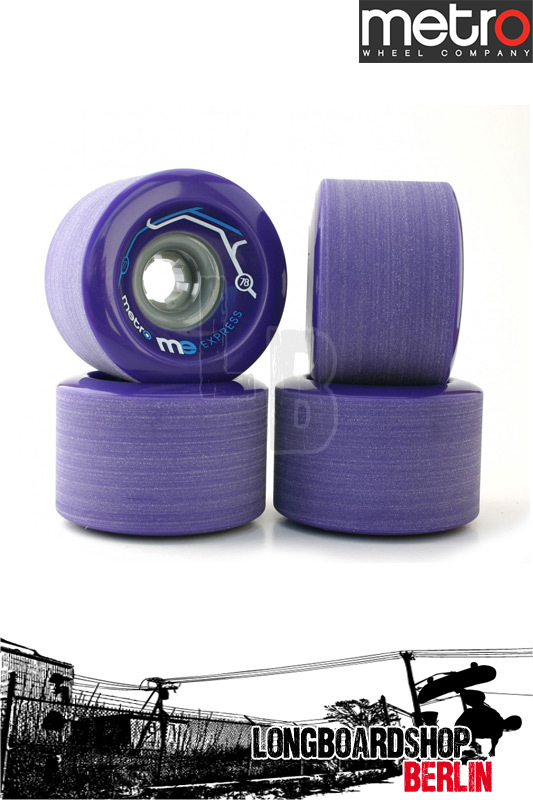 These 77mm Express were designed primarily for downhill slide but work equally well on everyday rides. The Metro Express wheel features a center set bearing seat allowing the rider to rotate wheels at the first sign of wear, thus providing longer life from your wheel. The riding surface has been stone ground, meaning these wheels are ready to go from the start! You are guaranteed 100% predictability from day one and getting sideways will never feel the same again after riding on the Metro Express.